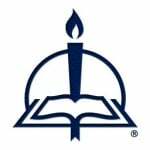 A key feature of the Lutheran Reformation was the transformation of preaching and catechesis. Luther’s catechisms and his postils (collections of sermons)—rendered affordable to the layperson with the advent of printing—were standard volumes in the devotional libraries of many Christians. 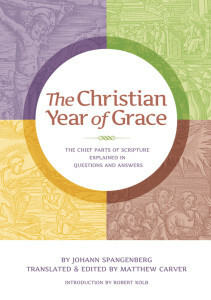 Johann Spangenberg, a colleague of Martin Luther, further adapted the postil form for catechesis with The Christian Year of Grace, a question-and-answer guide through the Scripture readings for each Sunday and feast day of the church year. Johannes Spangenberg (1484–1550) secured the city of Nordhausen, Germany, for the Lutheran confession of the Christian faith, was an active preacher, and also established secondary education in his city. Translator Matthew Carver resides with his wife, Amanda, and their young son in Nashville, TN, where they pursue interests in art, orthodox Lutheran theology, liturgy, and hymnody. Visit cph.org to purchase your copy!